Michael Bode and the kind folks over at the Cleveland sports website, Waiting for Next Year, invited Mark Schofield to participate in a Q&A regarding the Browns new 3rd round draftee, quarterback Cody Kessler. In the Q&A, Mark discusses how Kessler’s traits will translate to the NFL, what his production at USC means for him as a pro, and the quarterback’s scheme fit in the Hue Jackson’s offensive system. See below for a flavor and and please click through to read all of Mark Schofield’s Q&A on Cody Kessler! 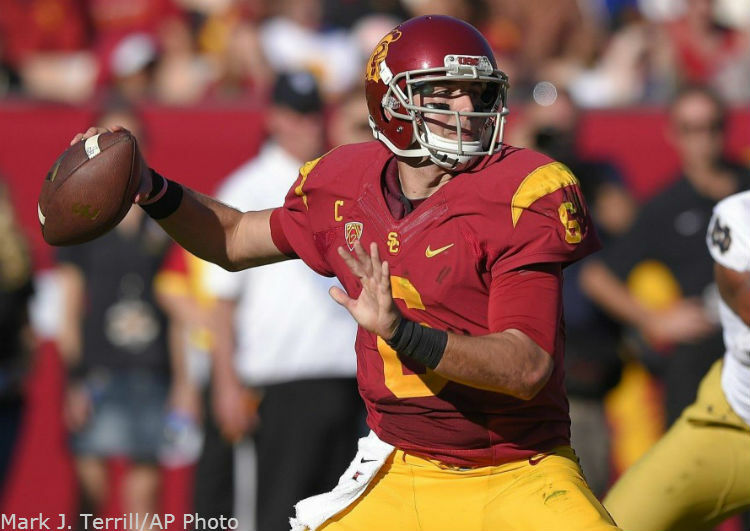 Michael Bode: Is there an advantage Kessler has coming from the USC offense to the NFL? How much closer are the Trojans to having a pro-style offense than other programs and what are the components that will help Kessler in his transition? Mark Schofield: Kessler certainly has an advantage due to the offensive scheme he ran at USC, his experience, and the route concepts that the Trojans ran, and that I believe the Cleveland Browns will implement as part of their offense under Hue Jackson, which we will get to in a minute. The term “pro-style offense” is a bit of a tough one to pin down these days with so many offenses using different components of different schemes, including incorporating spread elements. So when evaluating quarterbacks, I tend to focus on their traits at the position and try to project how what they do well will translate to the NFL game. When you watch Kessler and that USC offense, you see a quarterback who is very adept at operating both under center and in the shotgun. He can make very quick decisions in the short passing game, and makes throws with timing and anticipation. His footwork is usually right in synch with – or ahead of – the receivers in the route structure, so he can get the ball out quickly and ahead of time, putting his WRs in position to turn, make the catch and get yardage after the reception. All core components of a West Coast scheme.